Intellectuals and Bigots: Siapakah Anda? I have found myself reading more and more of MIC blogs, ever since the USM bomber Jaana’s case (Highlighted by brother Durai in RagedIndian). To be frank, I never bothered reading any Indian blogs (except Ragedindian). I came across this particular blog ‘Youths Intellectual Mind’. Reading a few articles, and I felt so much pity for this young writer. So smart and full of vigor, but been brainwashed and turned into a political bigot. 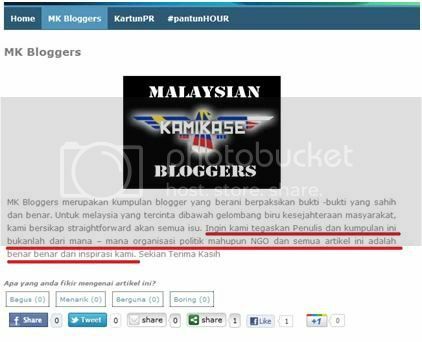 Here you see a typical pro-BN hate vendor, following the template of many other ‘pejuang’ blogs. Micro issues being blown out of proportion and no mega issues being stated. The first thing I thought of is that, why is the writer so bigoted? Bigot, but still calling himself intellectual? What happened to the voice of reason? Aren’t intellects supposed to be open to constructive criticism, argument and rebut their skeptics with facts? That’s what I believe, but why does this intellect have a closed commenting system on his blog? Why are only comments that are positive being approved by the penulis? Then you come up saying that most comments are politically motivated and are harassing you. IMG 1: I imagine this is the writers ‘intellectual’ logic. The penulis said, the opposition against the Batu Caves cut out is politically motivated and is not offensive to Hindu’s. 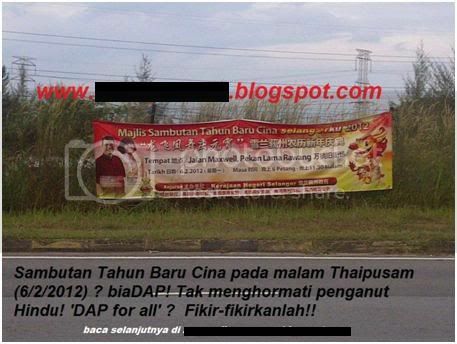 But when I asked, why do you say that DAP’s CNY dinner is offensive to Hindu’s you don’t respond to me. Ok, let us forget about the things you people deem politically motivated, such as the NFC scam, AUKU, Scorpene and KR1M. Let’s speak about the things that are not politics, buy community issues, as listed below. 1. When talking about Indian rights, why are pro-MIC bloggers always focused to Tamil Hindu rights? Don’t other member of the Indian community in Malaysia, such as the Tamil Christians, non-Bumi Indian Muslims and non-Tamil Indians rights matter too? Where was the MIC when Christians came under PERKASA attacks? Don’t you realize that there is Christian Indians too? Then why won’t MIC accept other Indian based parties in BN? 2. Has there been any question why are there places reserved for foreign students in public institutes of higher learning (IHL), when gifted Indian students are turned away from achieving their dreams? 3. There are so many private IHL’s offering courses specifically to Indians, but have anyone bothered to check on the quality of education, the pricing of the courses or marketability of the graduates? Just because a full loan is made available, Indians are being placed in these IHL’s, but when they are unemployed after the graduation, then the MIC is talking about retraining and reskilling. Why aren’t these skills offered in the IHL itself in the first place? 4. Alcohol abuse, why don’t anyone ever bother to speak on this matter? So many families have been destroyed by alcohol abuse, everyone knows this but does MIC have a plan? 5. Houses for Indians, ‘rumah-murah’ for poor Indians to be exact, are we fighting for Indian quotas? Are you arranging for loans and other financial incentives for poor Indians so everyone can have a roof over their head? 6. Are our youths being directed to the right path? Did anyone check if our youths have access to proper recreational facilities or access to community programs? If they turn into gangster, then you start to panic. Why are not any of your so called Kamikase blogger writing about these issues? Well, I can keep on bitching and find issues that I feel our community needs help. But someone will undoubtedly say that I’m simply avoiding responsibility, as the comment from a FB user below illustrates. Well, I have news for you madam; responsible citizens ask questions and correct their government’s mistakes. But when we do ask questions, you call us ungrateful. Let me tell you a story, I am the fourth generation in my family to be working for the government. My parents still live in government housing, my father in law still enjoys government pension, my son was born in government hospital and I did my degree with a government aid. So yes, I am very grateful to the government. But, please do not use these as a point to keep quiet and tell me not to ask questions, because, not everyone is as lucky as me. For every Indian that goes to the university, there are a lot more Indians still working without minimum monthly pay, barely surviving. Please fight for the things that you feel right; please don’t fight to just please your leaders. IMG 5: Die hard follower. That ‘Punulis’, in my honest opinion doesn’t deserve to use ‘intellectual’ term anywhere in his blog. I tried reasoning with him in Twitter previously but soon I realize, it is akin to ‘sevudaan kaathuleh sanggu uthara maathiri-nu’. These people, like you said, will blow a non issue out of proportion but will keep quiet when real issues such as corruption are at stake. How many of them actually discussed about NFC? Rosmah’s alleged spending? Auditor General’s report? Most importantly, how many of them will be daring enough to talk about MAIKA? excellent bro…This MIC idiots will never learn…!! blady Fools…! Checks and balance. Opposition makes a legitimate government. There should always be questions asked and answers sought. 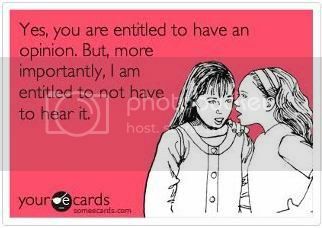 And well, no self respecting intellectual would call him/herself one and dodge and sieve through comments and discussion. <——— They planning to ask for Liquor licences for themselves and their families bro. Maybe even ask for a licence to set up a brewery. Orru Kallele rende Mangga. They can come out on TV and say Najib/UMNO supports the Indians by giving them a licence for a brewery, and they ofcause can get rich off the back of alcoholic Indians. Politics… senjerevange.. Bro.. konjum kuninja pothum kuthe2 sambalam thaa.. I guess all the penulis are being far too grateful to tackle the those issues .Seed thaangis without back bone. Also indian community is let to be fighting on their own , gang member either hacked to death by other gangs or shoot dead by the police. Indian parents to busy watching serial or scared by the emotional blackmail by their kids.. Sometime it make us to wonder why political parties don’t address anything about this problems..